I decided last night to work from home as London would be chaotic thanks to a 48 hour Tube strike and trains may be precarious due to yet another wet and windy storm. I chose to eat very simple food today. Food that would be healthy, nutritious and easy to prepare as I had a lot of work to get through. 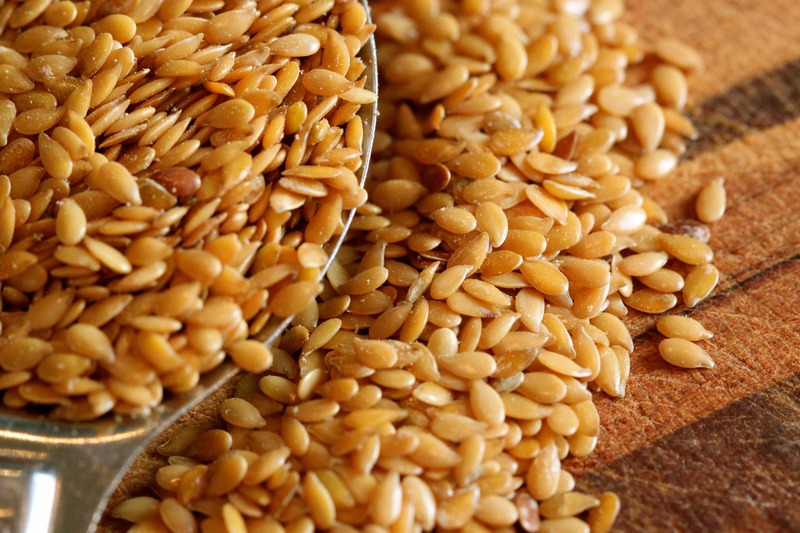 Flax seeds, which I ground so they are easier to digest. 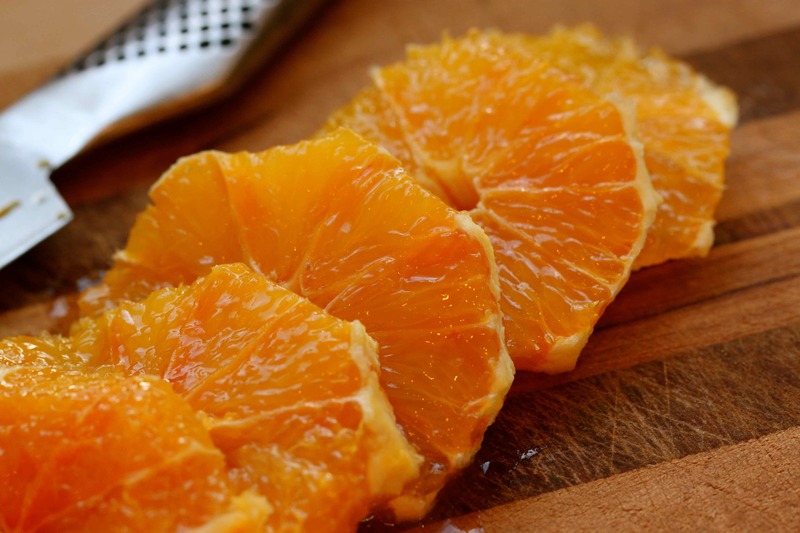 An orange for juice, sweetness and vitamins. 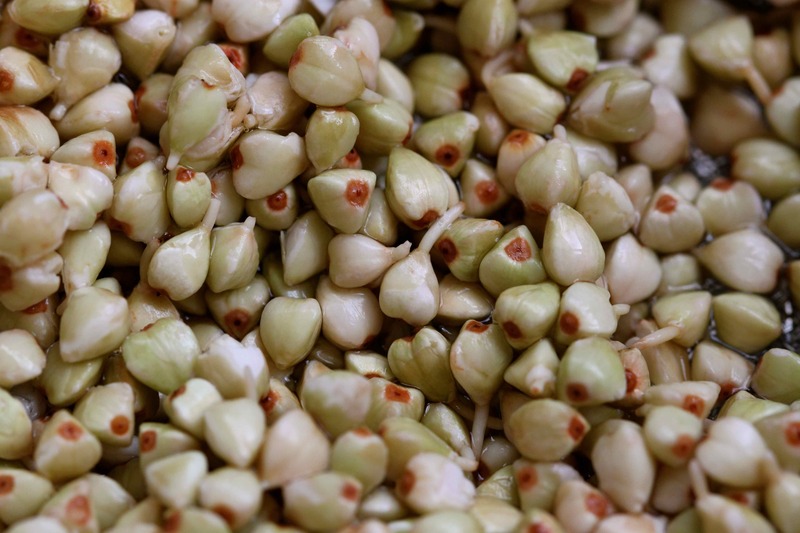 Buckwheat groats which I soaked for 2 hours first in water. 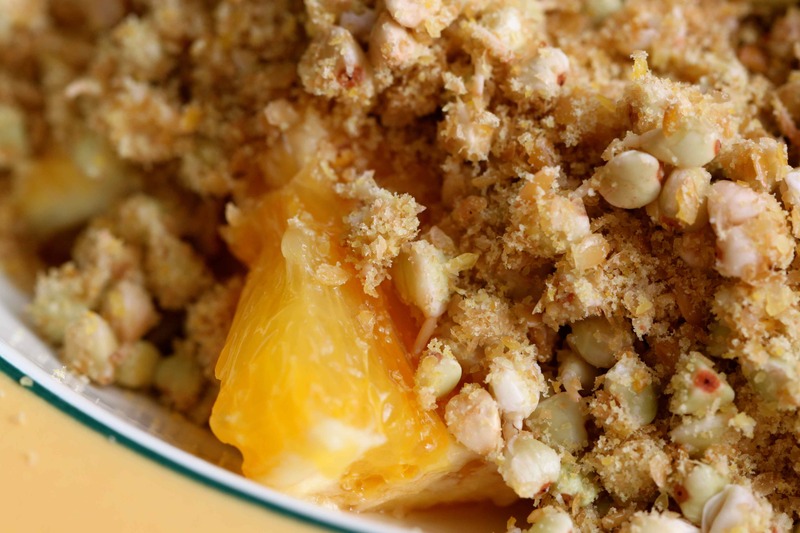 I chewed it slowly and enjoyed the goodness in this simple breakfast. It would have been much nicer with a large dollop of yogurt and some honey but it was fine as it was. 301 calories. Lunch required a lot of forward planning and soaking but it was easy and didn’t take much time. 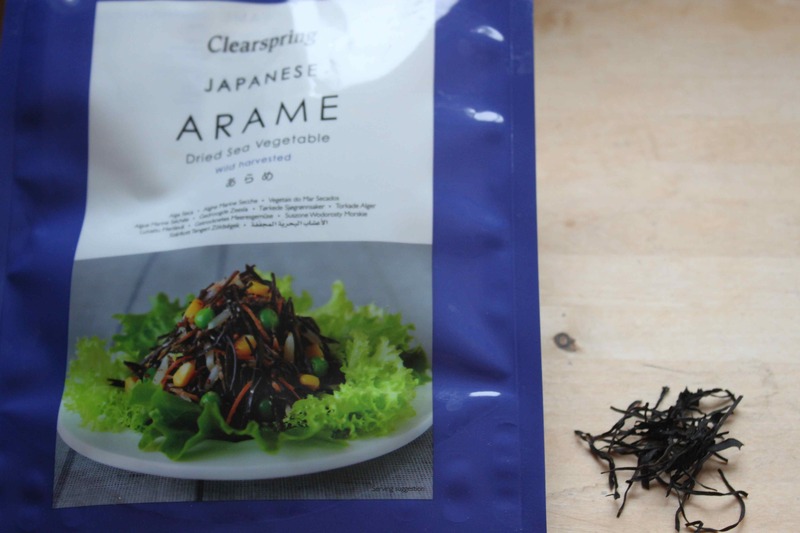 I wanted to eat some seaweed so I soaked some Arame, which is very fine and cut in to matchstick sized pieces. 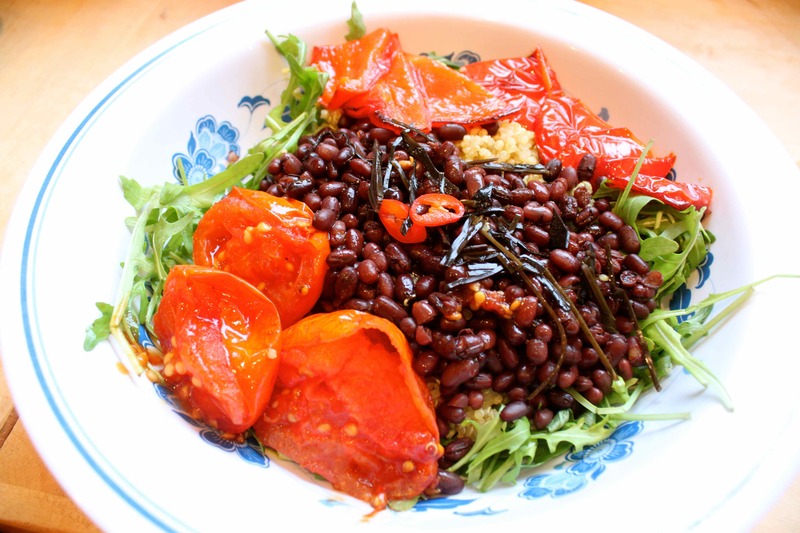 Lunch was a bed of rocket, topped with quinoa, aduki beans, seaweed and roasted tomatoes and red pepper. I roasted the tomatoes and peppers with olive oil and seasoned them with salt and pepper. 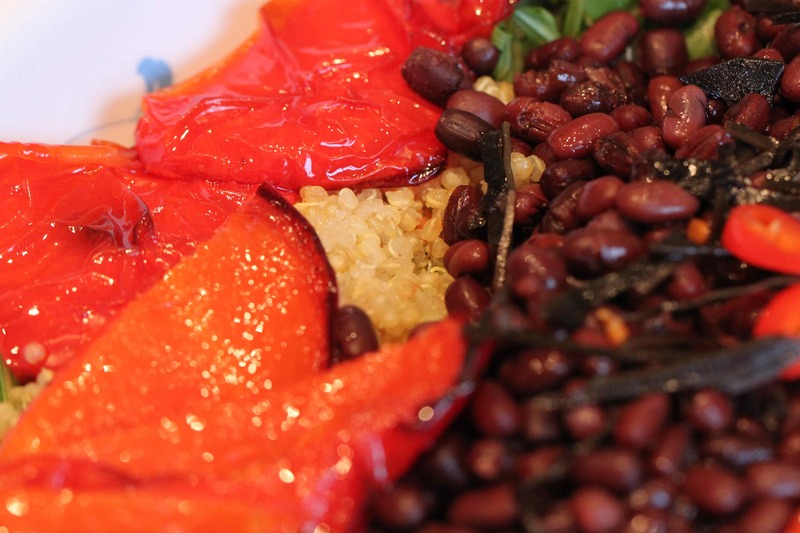 The beans were plain boiled and the quinoa was cooked with some vegetable stock to add some flavour. The seaweed was very pleasant. The roasted tomatoes made the difference between an ok meal and a really good meal as they added moisture and sweetness. 433 calories. So beans and quinoa are tasty but I wanted something more interesting for dinner. 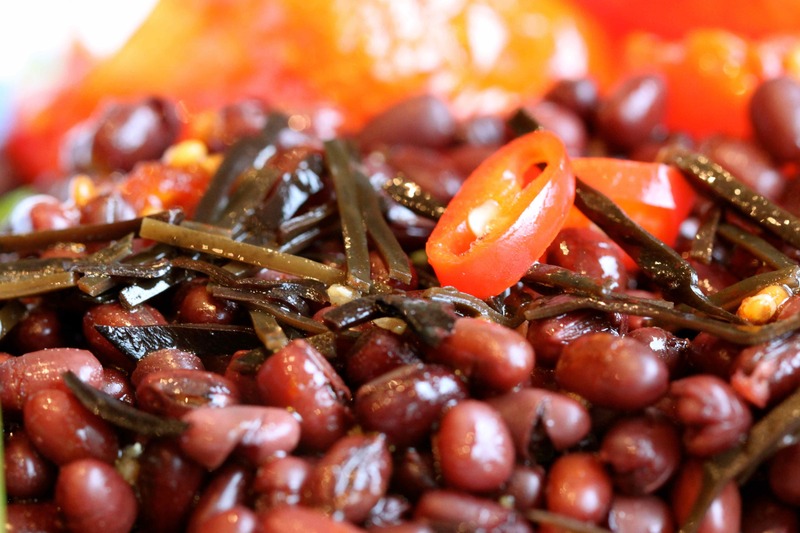 Vegan food can be delicious but grains and beans are surprisingly high in calories. When you are dieting, you don’t have enough spare calories to make a tasty sauce so the food is a bit bland. Well, maybe it doesn’t need to be. The main challenge today was that I was too busy to spend time cooking. 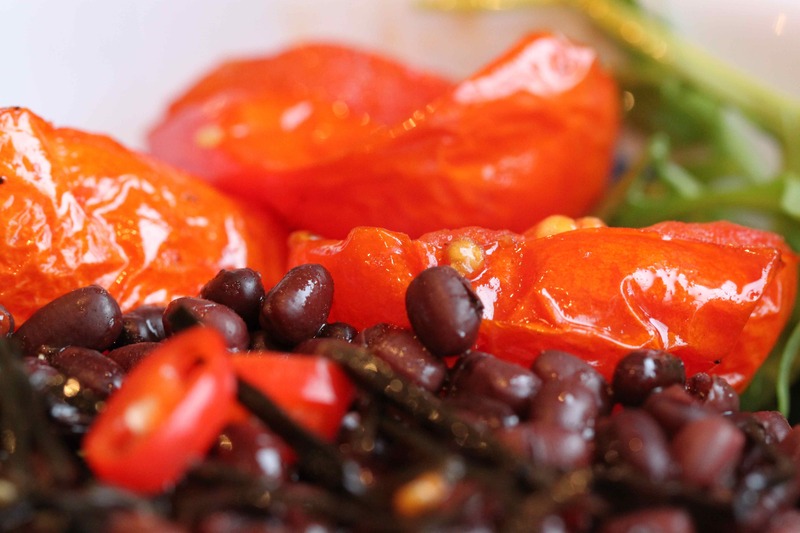 I will look up some tasty and low calorie vegan meals that have beans, whole grains and a good sauce. Dinner made use of left over roast pork. 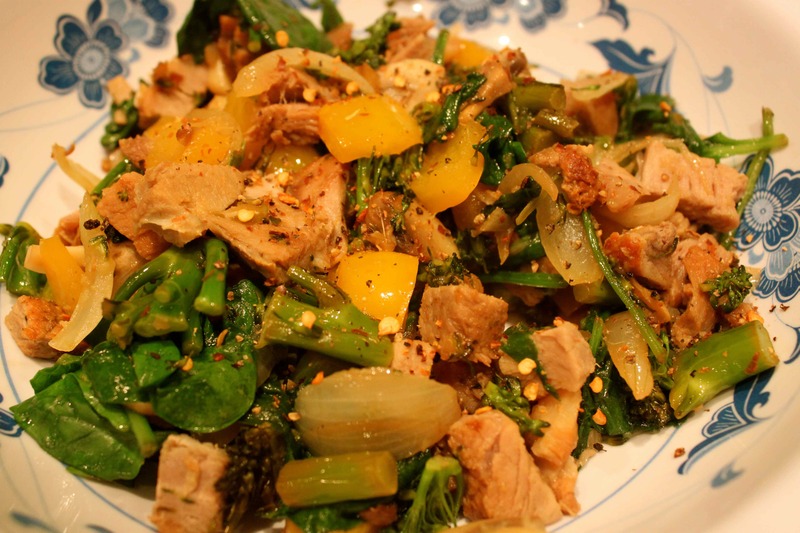 I stir fried onion, ginger, garlic, tenderstem broccoli, yellow pepper, button mushrooms and spinach in coconut oil. 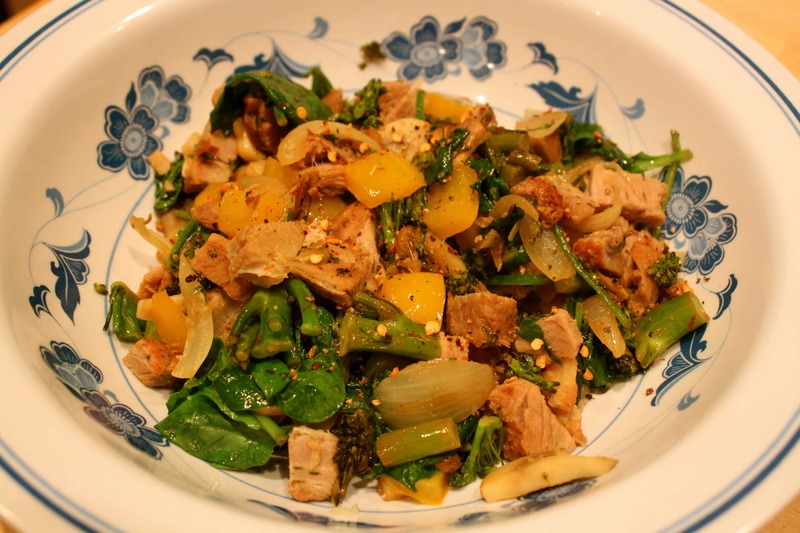 I added the pork with some lime juice, fresh basil and dried chilli flakes. It was really good and I enjoyed every mouthful. Heavy rain and strong wind put an end to my plan for a lunch time walk and I had meetings at the time the local pool was open for lane swimming. I am probably deluding myself if I think I may go swimming this evening at 9pm! 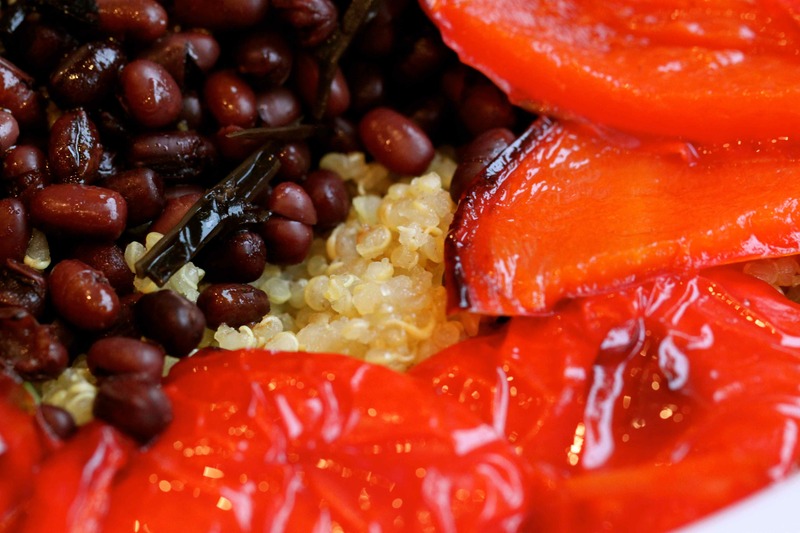 This entry was posted in Uncategorized and tagged Aduki Beans, Quinoa, Vegan. Bookmark the permalink. I read your blog with interest and I’m so impressed with your resolute commitment to “get it right” this time! Oh and the pics look good enough to eat! Thank you William. I am committed to do it this time. I want to live the rest of my life feeling full of energy and able to go on long walks and wear beautiful clothes. Kind comments help. Sorry about all the nuts and seeds I eat. Leave the nuts and seeds out and replace coconut oil with one you can eat. The pork stir fry was lovely.